MATRA – Mecanique Avion Traction was founded in 1945 as a defence company with the intention of creating a twin engined plane that was capable of 500mph (800kph). For the first 20 years they concentrated on defence and aeronautics but in the early 1960s they bought Automobiles Rene Bonnet and created Matra Automobiles. 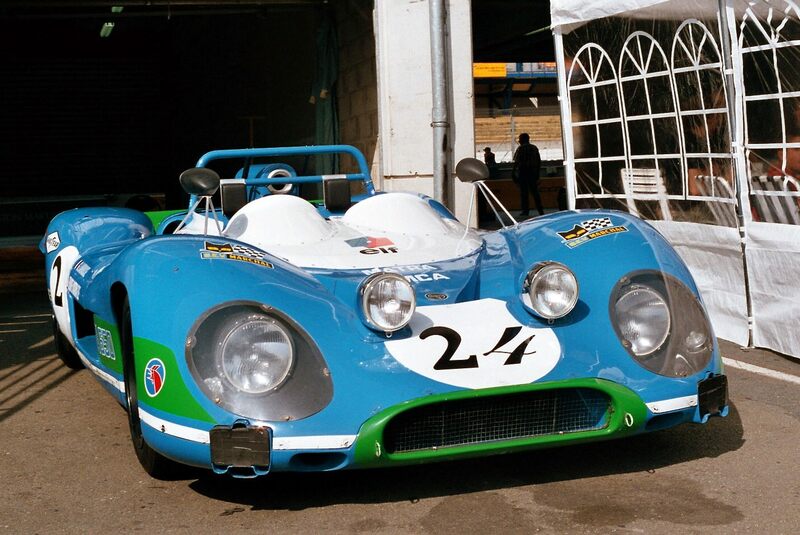 Rene Bonnet made very light sports cars and used Matra to build the glass fibre shells. Bonnet’s company was formed out of DB when Charles Deutsch the “D” of DB left to form a new company. DB was founded in 1938 and also used fibreglass for the body with a Panhard engine. Bonnet used Renault engines instead and had notable success in sports car racing because he used very light streamlined bodies that made the cars quicker than the larger ones. 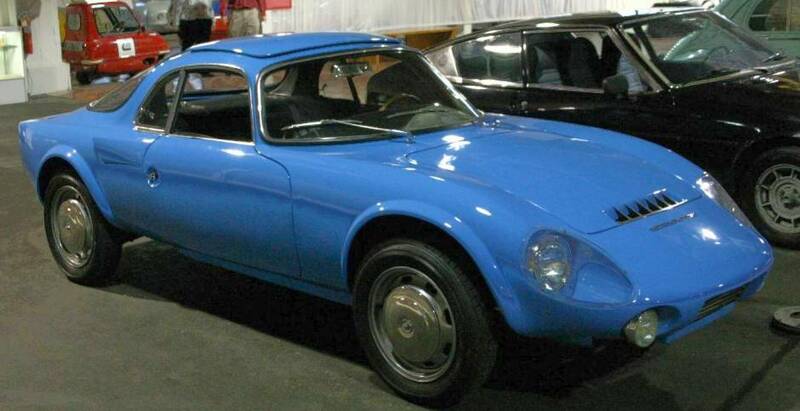 The first model that Matra produced after the acquisition was the Djet an updated Bonnet. Then they built the 530 with a Ford V4 engine from the Taunus (the German version of the Cortina). During this time Matra had started to build a relationship with the French company Simca during the time they were being slowly acquired by Chrysler. The first fruit of this relationship were racing sports cars and Formula 1 cars – winning the F1 championship in 1969 with Jackie Stewart and the Tyrrell Racing Organisation. The racing prototypes were very successful at Le Mans winning with V12 engined cars in 1972, 73 and 74. Then Matra-Simca turned to producing road cars. The first Matra-Simca car was the Bagheera, a 3 seater sports coupe using Simca 1.3 and later 1.5 litre 4 pots, in fact they used the complete Simca running gear including gearbox and suspension. The only difference was that the car used a mid mounted engine whilst the donor car was a front drive. It was quite a sleek car, very similar to the Lotus Elite or Reliant Scimitar of the same period. The Bagheera (apparently named after a Jungle Book character) was in production from 1973 – 1980. Matra even produced a 2.6 litre U8 engine out of two Simca 1.3 litre motors with the crankshafts connected by chains. Chrysler were unwilling to put this engine into production so only 3 were ever made. 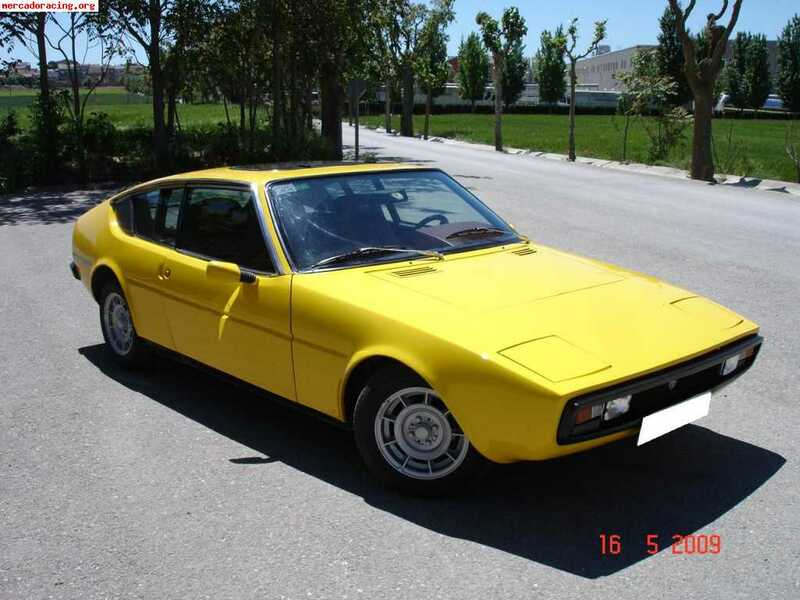 After the Bagheera, Matra developed the Murena in conjunction with Simca. It was also a 3 seater mid engined coupe but now had either a 1.6 or 2.2 litre motor. Around this time Simca (i.e. 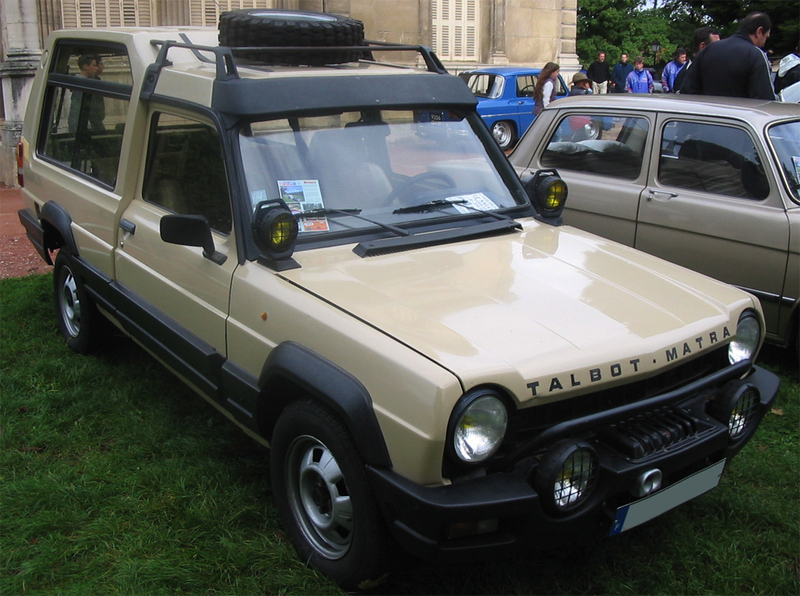 Chrysler Europe) was bought by PSA Peugeot Citroen and the Simca brand was dropped in favour of the older Talbot name. So the Matra Simca Murena became the Talbot Matra Murena. The styling was reminiscent of the early 1980s TVR 280/350s. 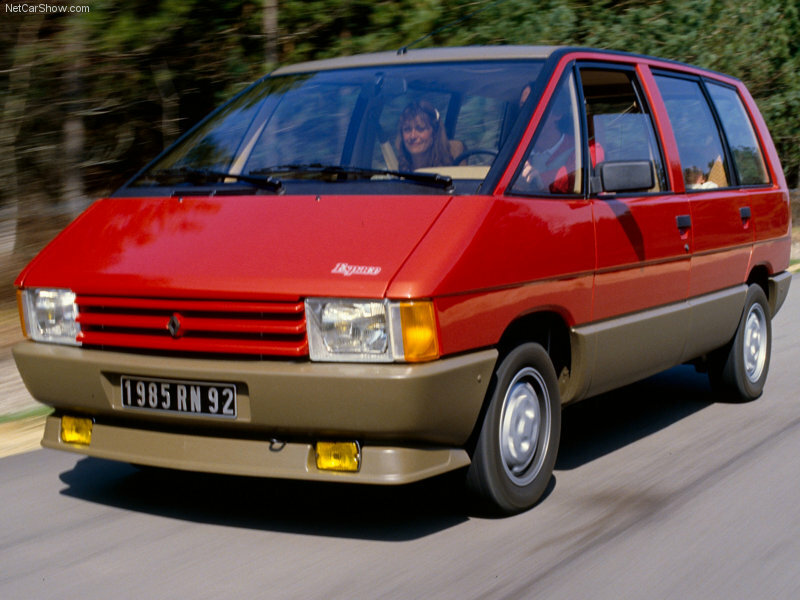 The Murena was built between 1980 and 83 and was discontinued in favour of a market creating car – the Renault Espace. The other vehicle that Matra Simca produced was the Rancho. This was essentially a Simca 1100 pickup with a new soft roader body attached although it was still front wheel drive not an all wheel drive that it looked like. Actually the body was simply made up of fibreglass and polyester panels fitted to the pickup that made it look tough – well, tougher than the original! It was produced for 7 years and 57,000 were built. The successor was to be what became the Espace. Now, the Espace was made by Matra for Renault, originally using Simca components as the design came from Chrysler UK in the mid 1970s. The prototype development (code named P18) was undertaken by Matra with Simca as part of the Chrysler group. When Chrysler Europe was sold to PSA, the design was given to Matra but PSA thought the Espace was too high risk so Matra approached Renault – hence the first production versions used Chrysler Simca components before they were replaced with Renault substitutes. With the sale of Chrysler Europe to PSA Peugeot Citroen the Simca brand dying in favour of Talbot and the rejection of the Espace prototype, the Matra Simca relationship died. Matra continued to do prototype development work for Renault and in 2003 the company was sold to Pininfarina and renamed Matra Automobile Engineering. Then in 2009, Pininfarina sold the concern to Segula Technologies, an engineering consultancy based in France. First published: 14th May 2015. Updated: 10th June 2018.